I think the greatest thing that has emerged for me from writing are the friends I’ve made in the diabetes community. Whether in the online community or the greater community at large, it’s been a blessing. 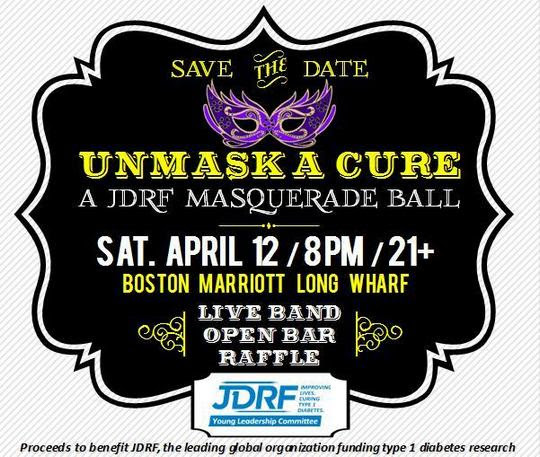 I’m here to tell you that Unmask A Cure is back! I believe there is no better way to celebrate the wonderful diabetes friendships than through a wonderful fundraiser. I cannot wait to share this experience with my friends, especially those that are traveling really far to get here for it! I KNOW that these tickets are expensive (and they’ll be even more expensive in April)! I am part of the planning and I balked at the price as well. Then I got a bill for my insulin before the pharmacy had all my new insurance information. It was over $800 and I had no idea what I was going to do. As I brainstormed a polite way to talk to the pharmacist (and not cry), I got the new bill that insurance had gone through. Phew. That doesn’t take away from the fact that this is an expensive disease. I walk around with two different devices each costing thousands of dollars. I love them and I don’t want to ever lose them. I know that they are worth it and I’m sure it cost more to develop them. I’m also guessing the early generation ones were even more expensive. Want to know where your money will go? Here are a couple examples. If you’re still not convinced, I have a feel good video for you. I know that it’s expensive and I know that sometimes an expensive ticket is hard to justify. THIS. IS. WORTH. IT.